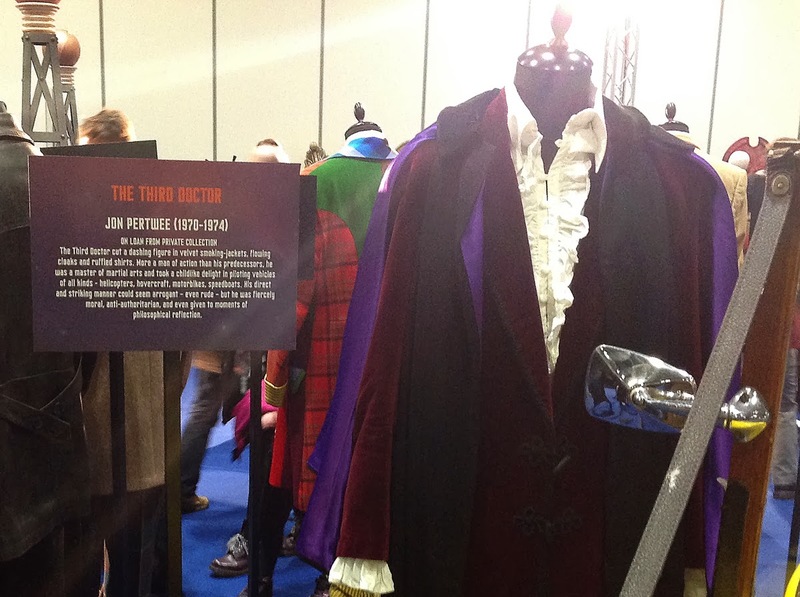 The Third Doctor costume on show was not the same as in The Experience. 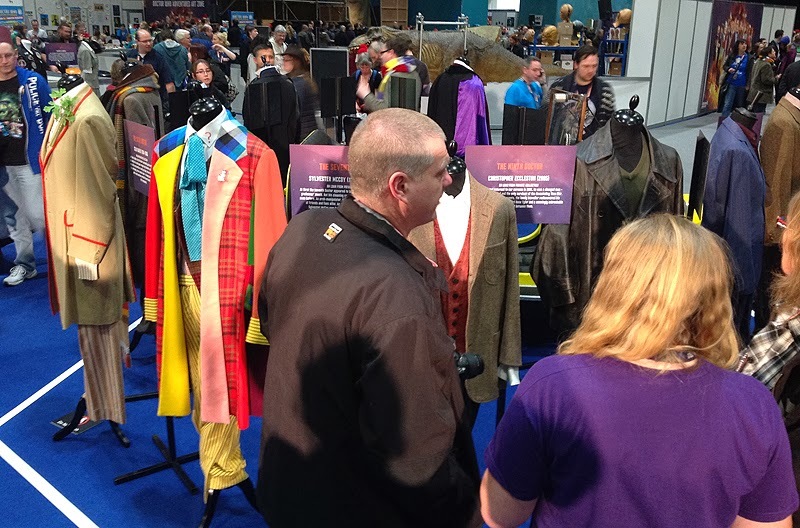 This was the purple lined Inverness cape (rather than red) and it was the burgundy smoking jacket (rather than midnight blue. 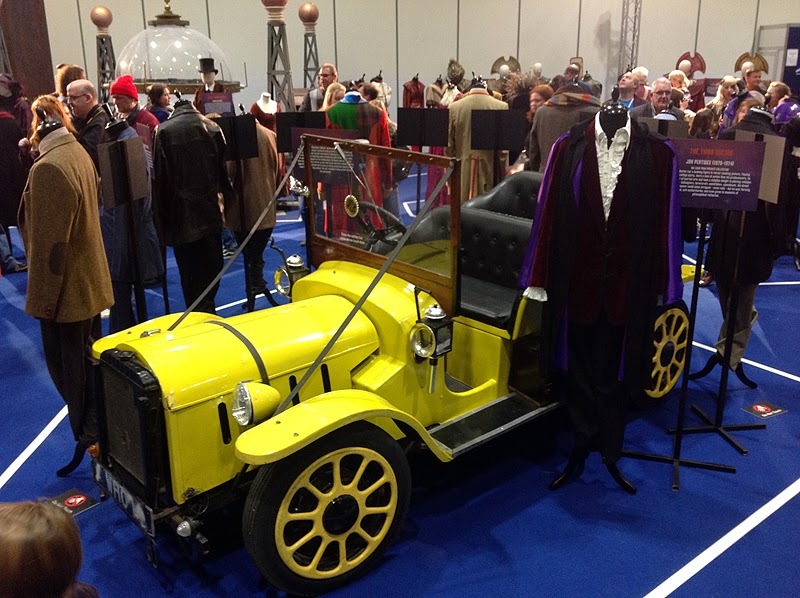 Other items from the Third Doctor era included the original Bessie, which has recently been on display in The Experience foyer. 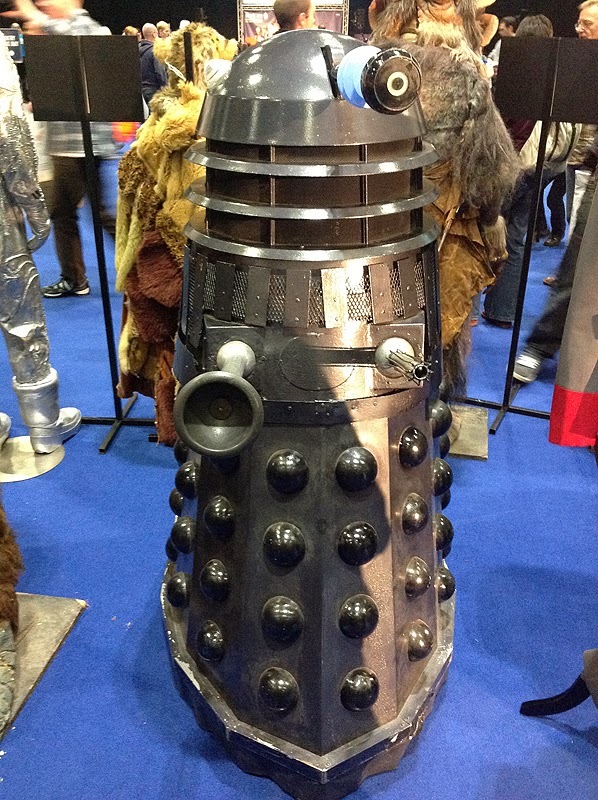 There was also a Dalek, in a colour scheme which I think debuted in Planet Of The Daleks. 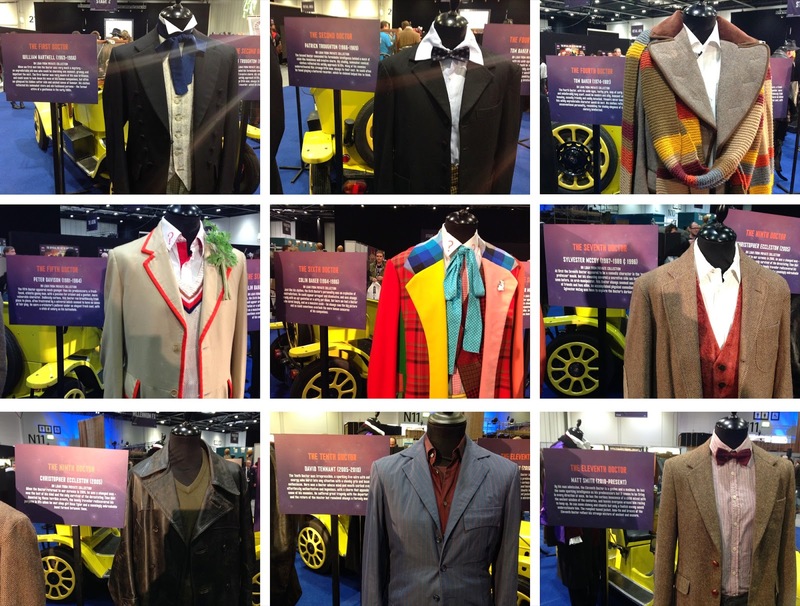 The one thing I saw which was a stand-out Third Doctor item for me was amongst the Time Lord robes display. 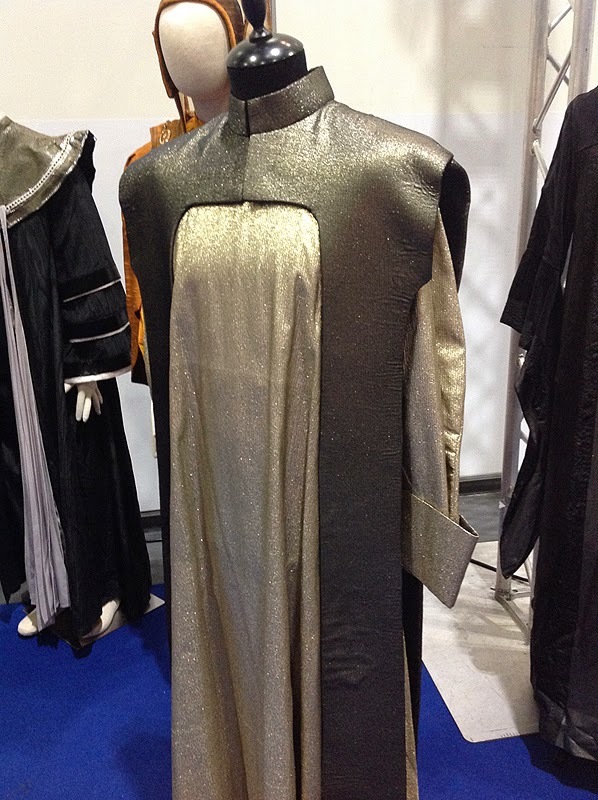 It included a version seen in The Three Doctors back in 1973.